This is a great smaller scale table that is intended to be used for kids. Without making a large investment, this table can be purchased and hours and hours of enjoyment can be had without putting your child in front of the television with a video game. 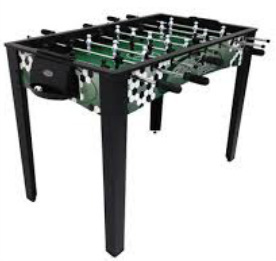 It is the perfect table to peak interest in the sport and offers a shorter height for kids to easily play the game.